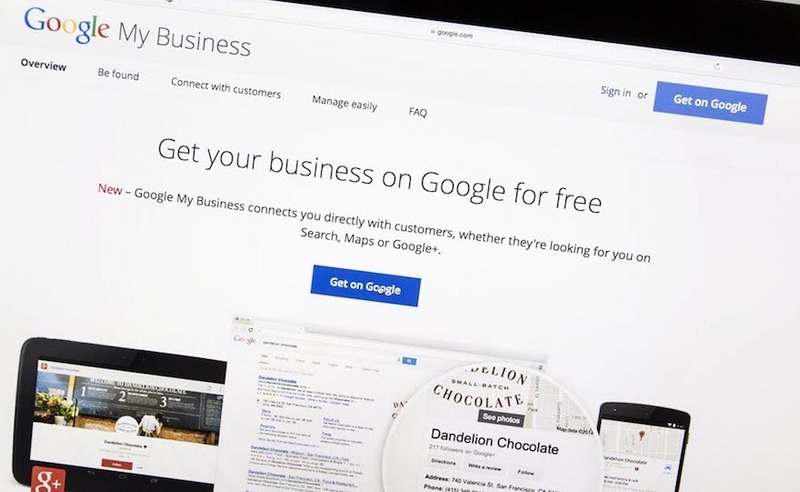 Back in 2014, Google released Google My Business (GMB), a free tool for businesses and entrepreneurs to provide quick and accurate business information to customers. GMB gives you another way to engage with your target audience, and it appears instantly when people are searching for information about your business. While many entrepreneurs have started utilizing Google My Business, they might not be using it to its full potential. After signing into your Google account, create a business listing. Google will guide you through all the relevant information you should include, such as business details and images of your products or services. Some entrepreneurs in the early stages of their start-up ventures might operate from home. If you would prefer that customers contact you online rather than visiting your home address, you can hide your business address through GMB so it won’t show. Once you’ve finished creating your listing, keep it up to date with recent information and GMB posts. Google My Business gives you the option to add time-restricted (appearing for one week) posts so you can let customers and potential investors know about your current activities. You can also use GMB posts to promote an event or special offers you’ll be running. The posts will appear in both Google search and Google maps results, encouraging people to interact with your business. Adding photos to your posts will make them stand out and appeal to potential investors and customers. The images you use need to be a minimum of 400×300 pixels. However, we recommend you use images that are a minimum of 750×750 pixels. Try to use images that you have personally taken that show your current activities. Google posts also give the option to add a 100-300 word (up to 1500 character) description. Use this opportunity to write about what’s happening with your company or to explain the reason why people should visit your site. After the first 100 characters, your description could be cut off, so make the first few sentences count. If you are planning to make an event, maybe a pitch of your idea or product, you can use this function to put in a start and end date and time. Finally, GMB posts allow you to add a call-to-action (CTA) in the form of a button. You have the option to add a button titled “learn more,” “reserve,” “sign up,” “buy,” or “get offer.” This button will link to a page you specify on your website. Although GMB posts take minimal time and effort to create, they tend to work better for certain products and businesses, while providing minimal benefits for others. A way to track the success of your posts is to include a unique URL for each post using Google’s Custom URL Builder. This tool will allow you to track the clicks and online conversions through Google Analytics. Some entrepreneurs don’t have time to focus on tracking their online marketing efforts in detail. So GMB gives quick and easy to digest information on how people are interacting with your business listing. This, of course, is not to discredit the in-depth insights Google Analytics offers. All good start-ups and entrepreneurs should focus on analysing their online marketing efforts in detail. This insight will tell you the total amount of times your business listing has been shown to customers. The data includes both direct search (people who found your listing by searching for your business name or address) and discovery (people who found you when searching for a category, product, or service). Your listing has the ability to show up in both Google search and maps results. This insight will allow you to see how customers have come to find your business, either by searching through Google or looking for your location on maps. When analyzing your insights, Google will show you how many people have used your GMB listing to visit your website, request directions to your premises, or call you. This information will give you a quick and accurate overview of how people have been interacting with your listing. So Why Should I Use Google My Business? Google My Business is a completely free tool offered by Google, no strings attached. It allows you to interact with potential customers and investors by providing them with quick and reliable information, including updates on what’s happening with your start-up. Creating a GMB listing will also help with local SEO, that is, the ability for your business to appear higher in local search results. GMB also houses your Google reviews, which are a key factor when customers are considering whether or not to deal with your business. Positive Google reviews are vital for assuring customers that you’re a reputable and trustworthy business, so read up on some ways you can get more Google reviews. Finally, Google My Business gives you great insights into how people are interacting with your listing so that you can make changes to further increase your reach. Really nice info for business. Most of them don’t know how to create a business page for their website I hope this will help them. Good job Alex Hamilton. Now this day Google is most important for all businesses. Your post is making it easy to create a business page for new users. Thanks. Wow! A great idea to grow your business. I will definitely implement. Thank you for sharing wonderful article. Google My Business is so powerful, and Google keep improving it’s functionality. Have you found it useful so far? Google My Business: A Great & Efficient way to start your business venture online, offline and all your social media way Supportive solution to see you prosper. Thanks for leaving a reply, it’s really an amazing tool! It’s a very informative blog-thanks for sharing. I hope you will be share another great post. I try to continually provide some great content for viewers on GrowMap! I hope I can provide some more useful information in 2018! Thank you so much for this article. I will definitely try out all those steps to help my website and business grow. Thanks for the comment! Definitely use GMB in the New Year! I’m surprised how many people had not heard of Google My Business until now, but it’s great to see people actively learning more about online marketing by reading articles such as my own! Innovation is key! That’s actually pretty cool. I’ve had webmaster tools, analytics, adwords, and those other google tools, but this is the first time I’ve heard of this one. Ray would love you to read ..Happy Holidays! Definitely start using GMB! It’s a great tool and completely FREE! The most important thing about GMB is that it is easy and free, and this tool also helpful in increasing rankings in search engine locally. Thumbs up. Carry on the great work. That’s it, free and easy, perfect for all small businesses! Google My Business is great, until you randomly get a 1 star review from a newly created account with no profile picture or history of any sort. And then Google refuses to remove it… As much as we like to hate on Yelp, at least they do a good job of getting rid of fake reviews. And unfortunately there is no way to get around it. What I usually recommend to clients is to use sites such as White Spark to help create review handouts to customers. This helps your business gain more positive reviews! The goal for any business is to have as many reviews as possible. A one star review when you have 5 total will invariably affect you more than one when you have twenty. Additionally, today’s consumer is discerning and will take the time to read the reviews. Encourage your reviewers to leave a write up as well. That way when a potential client sees the poor review, you have something to counter with. One last thing is to always respond to reviews, whether good or bad. The way you respond to a poor review will sway some people more than a bunch of good reviews. You can fake reviews, but you can’t fake your response. That’s some great information John! I agree with everything you’ve said wholeheartedly. I recently received a review on Google for one of my clients from a “customer” who the company never dealt with. They left a 1 star review from a new account without any description of what the problem was. I replied asking about what issue they had to try and resolve it with no response. Unfortunately in this case, more could be done by Google requiring customers to at least include a short description when leaving a review. At least this way the company can respond to the problem and provide a solution. Thanks again for your comment, it gives some additional great information to the article! This sounds very very good i arranging a entrepreneurs festival in Faisalabad 2017 so i found this blog in a very right time i added your information in festival agenda Thanks for the post! Keep Sharing Information! it’s great way to get all details for website, google business page is the great idea for startup online business. thanks for sharing the post. And the best part is it’s free! Really worth looking into for every business! yes, absolutely right! Good way to start online with google my business, lots of details you can grab from the google. thanks for sharing the good article. This sounds interesting and amazing. Wasn’t really aware of GMB’s full potential. I didn’t know it could help with local SEO and boost online visibility. Will start exploring GMB to find out more of what it could offer. Yes, it’s great and they only keep improving it!